Modeler's Note: I understand Khee-Kha models of Alaska does a vacuform Pacemaker in 1/72. I'll have to get one someday. So what about the magazine itself? While the April issue was the first under Gary Hatcher and first with no modeling. Things got off to a rocky start on the cover where it advertises an article on Battle of Britain Days. Oops, no Battle of Britain Days in this issue. Then things really stumble in the Russian P-39 article where a picture of the Commemorative Air Force P-39 is captioned as "P-39 42-19597 before ferrying from Alaska." Well no, that is just a modern airshow ramp, but it does cast doubt on the veracity of the article. In addition, the Testors paint charts include a listing of German colours in the P-39 article. On a Russian P-39? Come on. 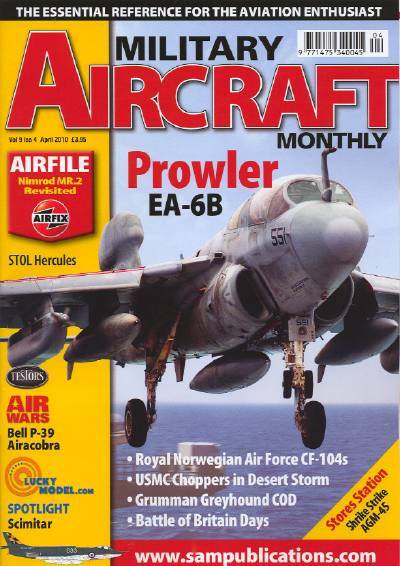 Also on the minus side we get all kinds short useless articles on modern US military subjects like the Shrike missile, a photo gallery of Desert Storm helos, the Grumman's Greyhound, the EA-6B Prowler, and the Credible Sport Herc. Not all is terrible though, there is a nice Nimrod update, outside of the photo gaff the P-39 article is quite interesting, though in my opinion it should have had more about the Alaska-Siberia Route delivery of the Cobras, and there is a good Norwegian Starfighter article by Nils Mathisrud. All of these articles have something in common, they aren't on modern U.S. military subjects and they aren't two or three pages long. Hum, imagine that...more in-depth articles are of more interest. To round out the issue, there is a gallery by Tony O'Toole on the Supermarine Scimitar with some colour profiles, a short recap of the Target Falklands Day at the Yorkshire Air Museum, and a personal view of some of the 1950s RAF "At Home Days." Books and Letters wrap up the issue. What is really odd is that even though they are trying to excise all modeling from the magazine, almost every advertiser is for modeling products. Wonder how long that will last? They even include a few throwbacks... colour listings tied to Testors paints in the P-39 article and a short modeling section in the Nimrod article, which was sponsored by Airfix. I wonder if MAM will notice an end to such sponsorships and advertisements now that they have abandoned modeling in the magazine? Overall I get the feeling SAM Publications has no idea where they are going with Military Aircraft Monthly and they are trying to pander to modern U.S. aircraft fans. Unfortunately, I think with the prices and distribution of the magazine in the U.S. this will be nothing short of an unmitigated disaster. I guess to look on the bright side, there is now one less magazine I need to buy. P.S. : While things were uneven in the April issue, May looks terrible. F-16s left right and center...three articles. Great! The most boring of the gray boring jets. Can it get worse? Spartan Air Service Limited and their used of the P-38 and Mosquito on photo survey work in both Canada and abroad has always fascinated me, so when I heard about this book on Spartan by Norman Avery I ordered it right away. What we have is a 170 page self published book on Spartan. Not really a history, it is more a collection of short stories covering the history of this unique post war company. As with most self published books, it could really use an editor to tighten it up. References to P38s are annoying, and in that last two chapters the story of the Airborne Sensing Unit of the CAF operating CF-100s and C-47s is repeated twice. While all the stories are very interesting, at times there appears to be little though as to which order they appear in. That being said, the stories are a time capsule of post war aviation operations when the mantra was make it work. (Long before safety first was even a thought.) Weldy Phipps's testing of his nose modifications to that P-38 is eye opening, as are some of the field repairs and operations. I did not know that Spartan was one of the largest users of helicopters in Canada, and in an era when the machines were in their infancy it often appears they were used to the limit, if not beyond, of their capabilities. But in the end, the book is a tribute to the men of Spartan, including Phipps, John Roberts, and Don McLarty. Roberts was the co-founder and idea man behind Spartan, Phipps was the pilot and mechanical genius, and McLarty had the tough job of fixing ruffled feathers when Spartan expanded to South America. (Some of the travails in South American are highlights of the book.) Personally I would have like to have seen more photos of the P-38s and Mosquitos and a few of the photographs are really poorly printed, but these are minor quibbles. Overall it was an interesting and quick read. One of the better choices I made last year was to finally join the Canadian Aviation Historical Society. I don't know why I was never a member, but after hearing they had a new editor for their Journal and about some of the topics that would be covered, I took a chance and sent in my money. Some of the topics in the 2009 Journals included Procurement of the Mustang and Vampire for the RCAF, the Westland Wapiti, George Stewart's memories of his time flying Mustangs with 424 Squadron, a nice Northrop Delta Cutaway, the Imperial Gift, TCA's Viscounts, Air Canada and SSTs, 402 Squadron Harvards, Trainer Fireflys, and some interesting Canadian civil aviation stories as well. 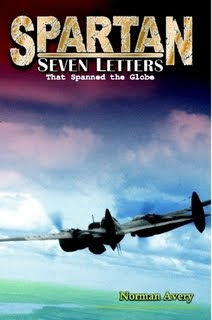 A must for Canadian Aviation History fans. 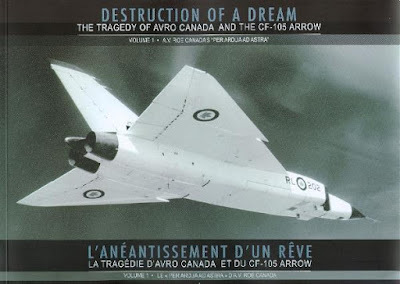 Title: Destruction of a Dream - The Tragedy of Avro Canada and the CF-105 Arrow Volume 1 A.V. Roe Canada's "Per Ardua Ad Astra"
Avro Arrow books are a dime a dozen and because there are so many on the market, it is easy to sometimes miss a good one. Outside of the rather hyperbolic title, Destruction of a Dream is quite an interesting Arrow book. Published in bilingual English and French, this softcover book is really a scrapbook of Avro Canada and the Arrow. Volume One opens with the founding of National Steel Car and ends with the official name Arrow being bestowed on the CF-105. Each section has a myriad of photos, brochures, and other Arrow collectibles. The left side of the page has the text in English, and the right side has the text in French. The text is short, but to the point. The first few sections deal with wartime and early post war projects. We have Lysanders, Ansons, and of course Lancasters. The first major postwar project for Avro was the Jetliner, and next section of the book illustrates the Jetliner program well with many colour and black and white photographs. Next we get into Orenda Engine with Sabres and the jet engined Lanc. Of course Canada's only indigenous fighter, the CF-100, is covered in detail along with the unbuilt swept wing CF-103. Again there are many interesting photographs, both in colour and in black and white. The CF-103 section is fascinating, with more photos of the CF-103 mock up and models then I have seen in the past. Of course the Avro flying saucers are included and only then do we get to the story of the Arrow. Most of the Arrow section in Volume One is dedicated to the specifications and testing. There are quite a few interesting wind tunnel models, the Nike boosted models, a few pages on the technology needed to manufacture the Arrow, and then finally the weapons of the Arrow. While this section of the book is dedicated to the weapons for the CF-105, it has some unique CF-100 photos, including Canucks fitted with Falcon missiles, Genie rockets, and some neat colour photos of the Sparrows missile program. (Dayglo Sparrows with little RCAF roundels on a CF-100 with large patches of dayglo would make an nice modeling project.) Finally, we wrap up with a section on the Iroquois engine and then the official naming of the CF-105 project as the Arrow. What makes this book are the photographs and Valiquette has done a great job in sourcing unique photos. Rather then illustrate the CF-100 Sparrow program with the usual shots, he used the stunning colour photos. Even the Lancaster section has different photos, rather then the usual shots. I also found the period brochures and advertisements to be fascinating. I really enjoyed the book, and look forward to Volume 2. My friend Matt is a huge Milton Caniff fan and spends a good portion of his blog writing about Caniff. A few years ago Matt told me that Caniff's Miss Lace character from the comic strip Mail Call was used as nose art on many American bombers, most famously on the B-17G "A Bit O'Lace." Well imagine my surprise to find out that Miss Lace was also used on at least one RCAF aircraft, Lancaster KB747. Lancaster KB747 was built as a Lancaster X by Victory Aircraft Limited at Malton, Ontario in 1943 and flew 72 ops with 428 "Ghost" Squadron RCAF carrying the codes NA-X. 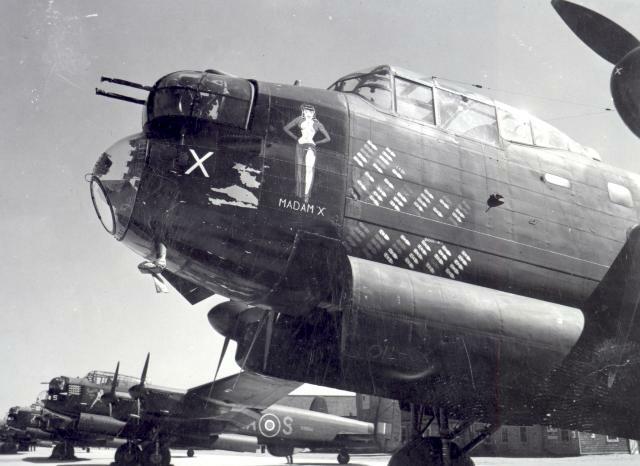 After the war in Europe ran down, KB747 returned to Nova Scotia to join the RCAF's contribution to the Tiger Force. 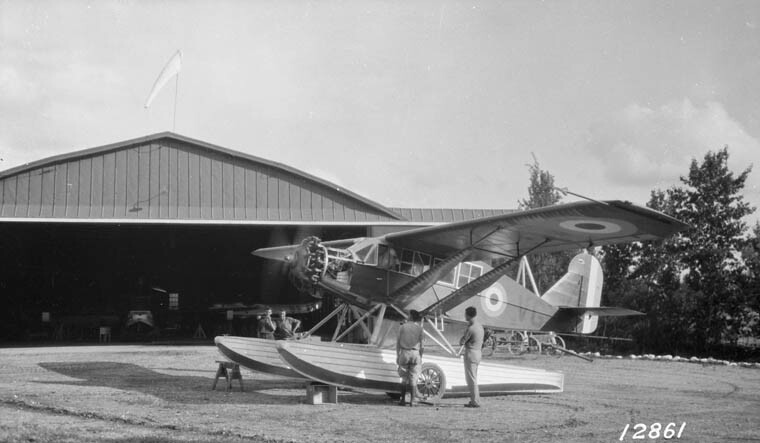 The RCAF Tiger Force squadrons never left Canada before the war in the Pacific ended and KB747 was struck off charge in 1947 and scrapped. 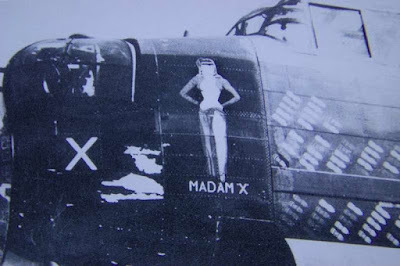 KB747 was named "Madam X" after the Lionel Barrymore directed movie and carried Miss Lace as nose art. Please help a Poor Widow! It used to be that when I got those e-mails from Africa foretelling of all the riches I would acquire if only I sent someone a large chunk of money I would just delete them. Because obviously they were scams, right? Apparently not. I guess these so called scams have been given the thumbs up approval by Baker Hostetler estate attorneys. Therefore, after receiving the following e-mail the other day I felt the need to start rounding up clients and modelers to invest. How can we let two huge warehouses of modeling stuff be held hostage? Anyone want to invest? Heck, the deal is so good, I'd put in my own money...if only I hadn't blown it on all plastic. This mail may not be surprising to you if you have been following current events in the international media with reference to the modeling world in particular. I am Mrs. Bridget Linverden, the wife of famed preshader Frank Linverden, who died recently in Carrollton, Texas. Since his death and even prior to the announcement, I have been thrown into a state of antagonism, confusion, humiliation, frustration, and hopelessness by the present leadership of IPMS, Hasegawa, Squadron, and Hyperscale. I have even been subjected to physical and psychological torture. As a widow that is so traumatized, I have lost confidence with everybody in the hobby at the moment. You must have heard the media reports and over the Internet about the discovery of two huge warehouses of kits and accessories in my name of which I have refused to give up to the corrupt modeling retailers. In fact the total street value of the kits, books, and accessories allegedly discovered by Brett Orange, Bruce Beamish, Damien Claus, and Mr. Squadron exceeds the tune of about $15.3 Million Dollars. And they are not relenting on their effort to make me poor for life! As you know, the modeling community has little regards for woman, hence my desire for assistance. I deposited the keys to these warehouses with a security firm abroad whose name is withheld for now until we open communication. I shall be grateful if you could receive these keys and hold them. Additionally, would you e-bay these modeling products and hold the funds for me? I only require that you provide a $100,000 bond to secure our arrangement. What a deal! This arrangement is known to you and my personal Attorney Robert Steel, Esq, and Counselor at Law. He might be dealing with you directly for security reasons as the case may be. In view of the above, if you are willing to assist for our mutual benefits, we will be willing to negotiate on your percentage share of the proceeds of sale and I will give you a first right of refusal of any of the kits, and accessories to build and enjoy. Please note that this is a golden opportunity that comes once in life time and more so, if you are honest, I am going to entrust more kits in your care as this is one of the few legacies we keep for our children. However, you must LOVE this hobby. In case you don't accept please do not let me out to the security and international media as I am giving you this information in total trust and confidence. I will greatly appreciate if you accept my proposal in good faith. Please include your e-mail, bank account routing number, and web forum “handle” to expedite action.